Imagine a world where you can design your own products to fit your specific needs and, within a short period of time, have it arrive on your doorstep. That’s the reality TinkerCad, a 3D design and 3D printing application, is envisioning. It’s already being used by designers, hobbyists, teachers, and kids, to make toys, prototypes, home decor, Minecraft models, and jewelry. 3D printing is a way to make objects from a 3D digital model. This is done by creating many thin layers of a material. The material could be anything from nylon to titanium. While nylon is the most commonly used for building everyday things, like a flower pot, titanium can be used for things that you want to last forever, like a piece of intricate jewelry. While many people are under the impression that 3D printing is a new invention, its inception actually started more than three decades ago. The first patent application for this technology, which at the time was called Rapid Prototyping (RP) technology, was filed in May 1980 by Dr. Kodoma of Japan. However, he procrastinated on the full patent specification before the one-year deadline. As a result, the first patent was given to Charles Hull six year later. Now the name had changed to stereolithography apparatus (SLA). The idea was continually improved upon throughout the 1990s and the first decade after the turn of the century. One reason why many people don’t realize this technology has been in the works for a long time is because it has had several name changes. In the past, 3D technology has been called Rapid Prototyping (RP), Stereolithography Apparatus (SLA), Rapid Tooling (RT), Rapid Casting, and Rapid Manufacturing (RM). 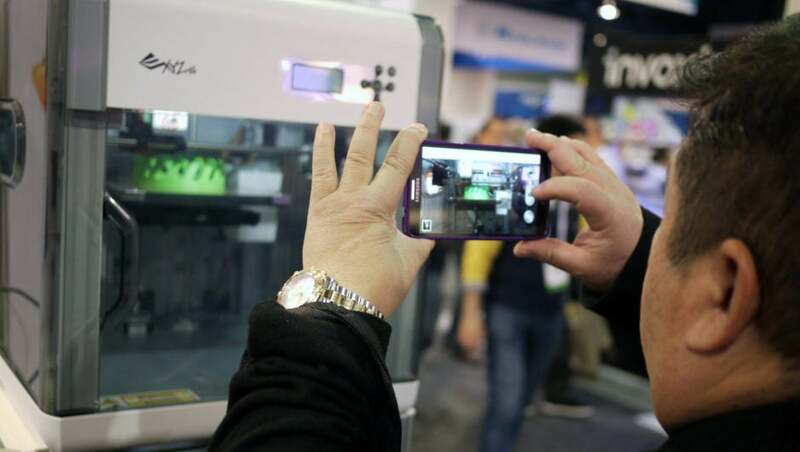 In recent years, consumers have become more aware of 3D printing because of the successful development of 3D printers in the marketplace from companies like Mattel and Hewlett-Packard. Mattel created ThingMaker, which retails for $299 and HP created a 3D printer with Multijet Fusion Technology, which starts at $130,000 and provides an end-to-end solution. While Mattel’s version can be used for children to make their own toys, HP’s version could be used by a business to create customized products for its customers. Large companies are already envisioning a world where 3D printing will be the new business model. Amazon is an example of this type of visionary thinking. While Amazon has dominated the online retail marketplace for everyday goods, the company is now looking towards meeting consumers’ desires even more perfectly by using 3D printing. “The business has filed a patent application in the US for trucks equipped with 3D printers, which will take orders online and then produce the finished item either at a customer’s door, or on the way to it,” said Alan Tovey in Telegraph by Industry Editor. He goes on to point out that the idea makes sense from a business perspective. The giant retailer, with revenues eclipsing $100 billion last year, would not need to maintain huge warehouses packed with millions of dollars worth of inventory. While 3D printing is still considered a hobbyist pursuit that can’t compete with the sophistication of current manufacturing processes, there are many signs that it will have a huge impact on entertainment, art, school, work, medicine, and business. It’s not hyperbole to say that 3D printing could change the world we know. Just think about it. You won’t need to go to the store to get replacement parts for anything that has broken down in your appliances, office machines, equipment, or vehicles. You will not only be able to get the perfect fit, but you don’t have to buy parts in bulk. You will be able to build anything from homes to cars. Science fiction? The first 3D printed car was printed in Arizona, this car, “the Strati,” took only 44 hours to print out. However, there is some dispute about whether they printed the first car as some sources claim that the credit should go to the “Urbee 2” which took 2,500 hours to print out. Even prosthetics and human organs will be printed out. Already, there is a hospital in Sudan, where Not Impossible Labs, is printing prosthetics for victims of war that cost only about $100.